Siamo andate a Firenze! Oggi e un bello giorno! 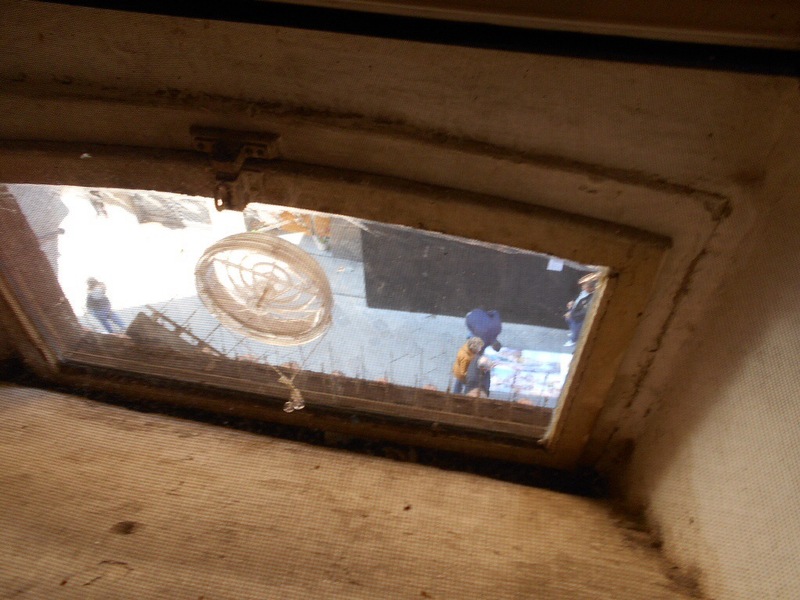 Here’s our room with a view. 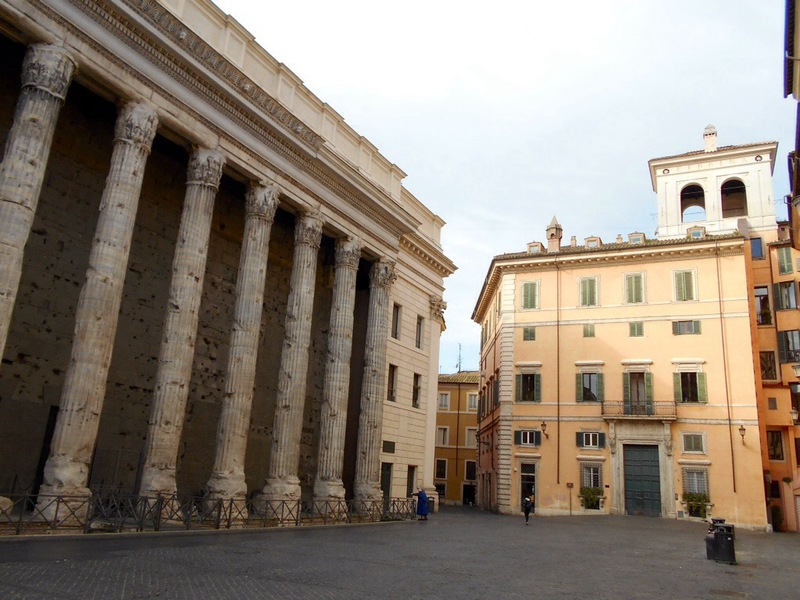 Actually, the first few photos are of our hotel in Rome and the piazza by it. You just can’t capture the view with a camera. 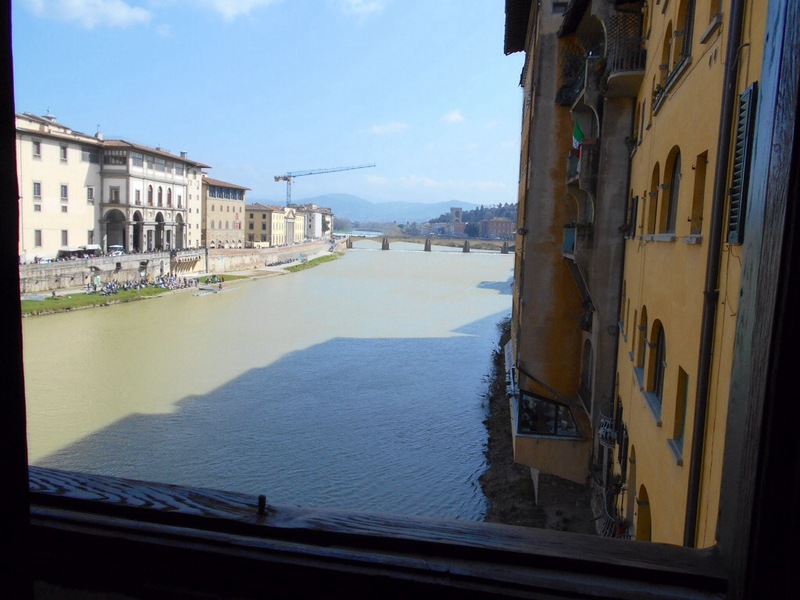 We are on the Ponte Vecchio! 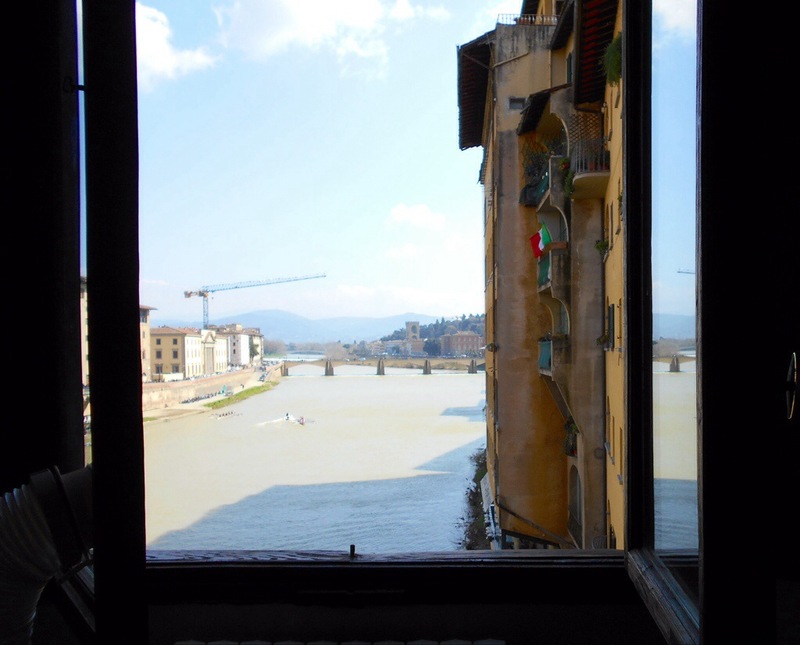 There’s a little window beneath our dining table through which you can watch the people walking by on the medieval bridge! 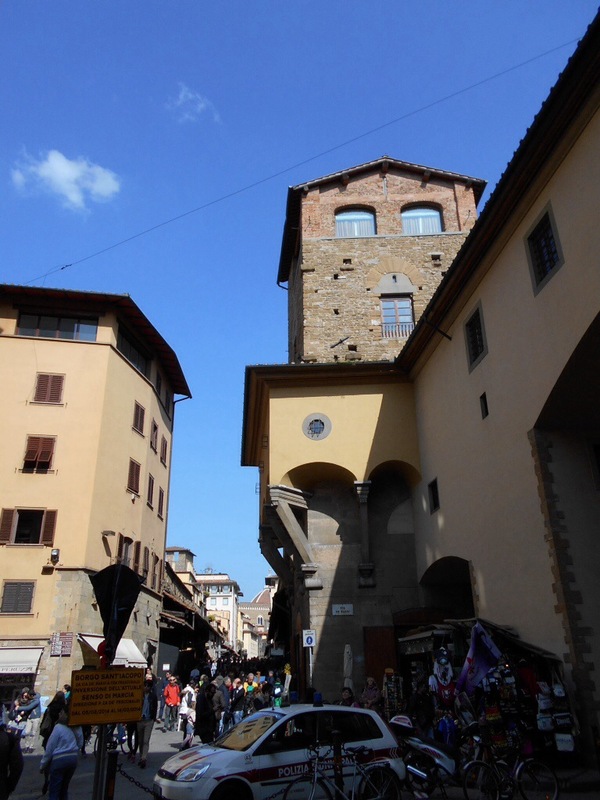 The Mannelli family would not let the Vasari build his corridor through their tower, and so the Vasari corridor wraps around our tower, held up by brackets. There’s a super mercato across the street, and we’ve stocked up on some groceries. 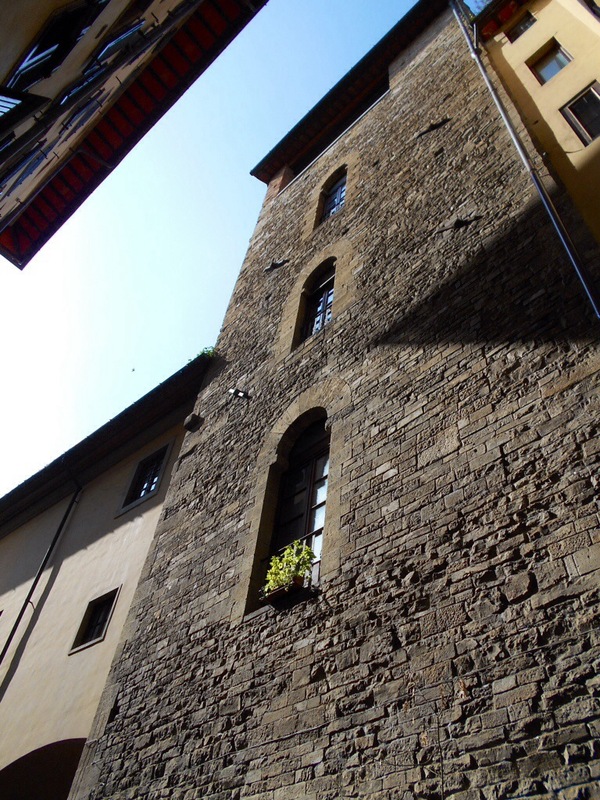 Here are two exterior views of the Torre Mannelli, our home in Florence. 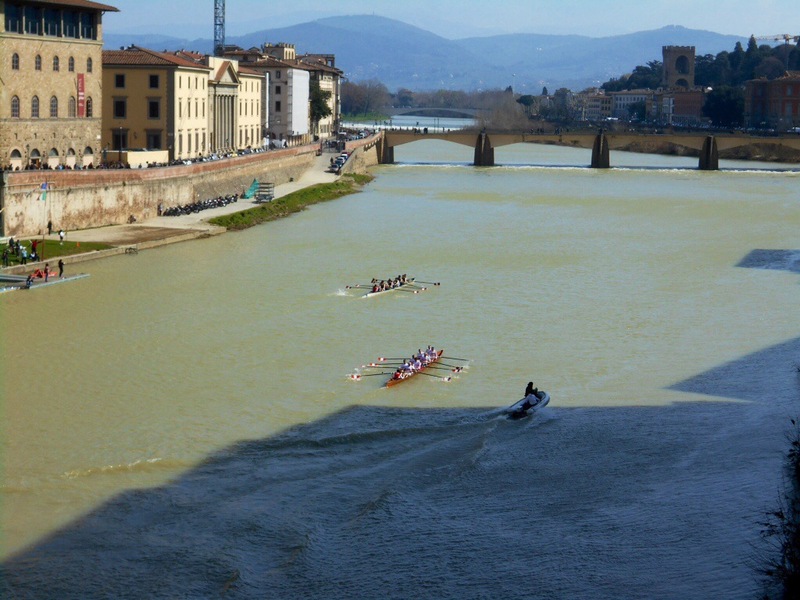 4 Responses to Siamo andate a Firenze! Oggi e un bello giorno! PS–Looks like it might be a bit chilly there right now? I was curious about the weather. You and Steve need to try coming here off season. Airfare $500 less and great deals! Plus, not hot! Will post photos from Al Tranvai soon. I am so envious I cannot stand it!! Don’t be envious! Come with me next time! 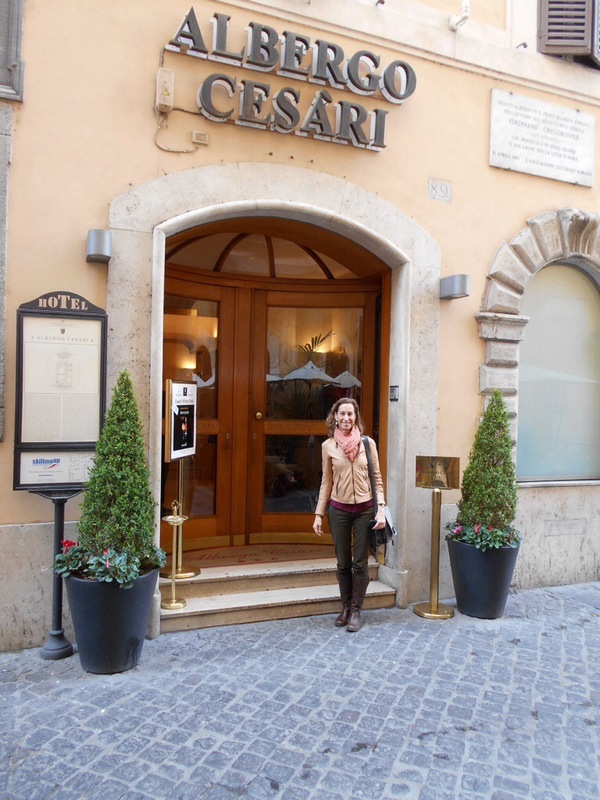 I am turning Italian!